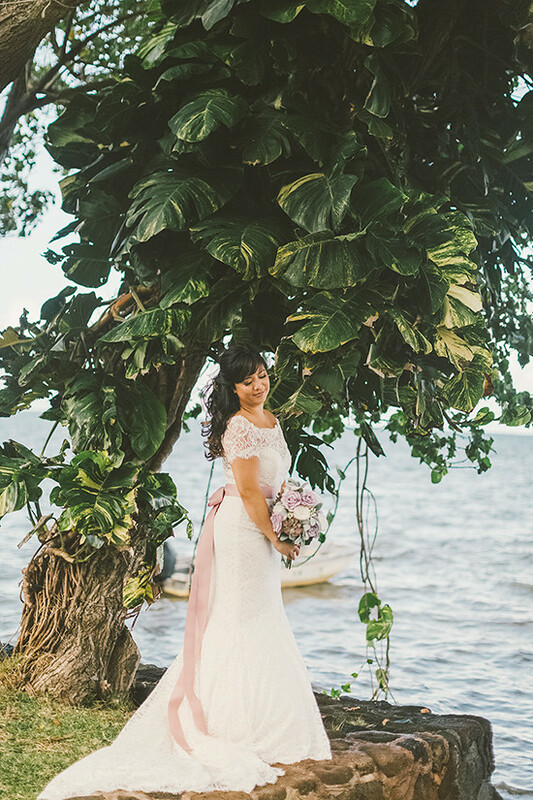 We are secretly jealous of any and all weddings that happen in warm and tropical places, and this purple and lace Hawaiian wedding had us green with envy! But in a good way of course. 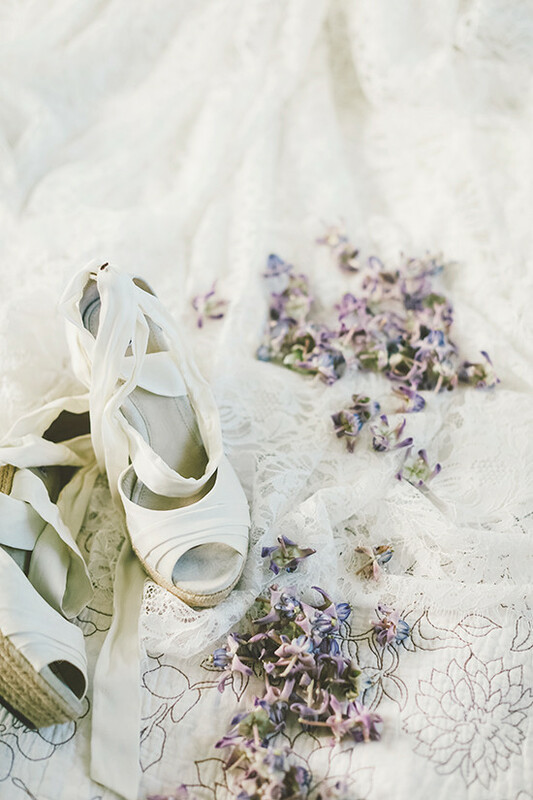 Can't get enough of this lovely and lush wedding day? 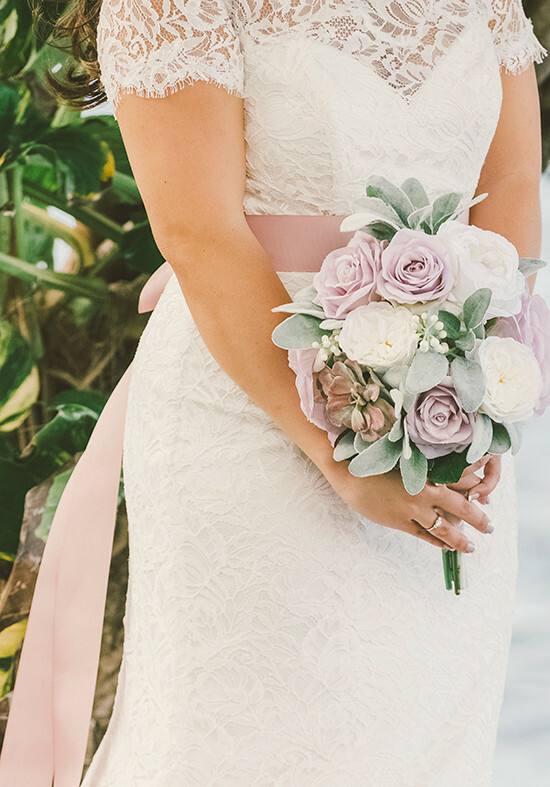 Spoil yourself and take a peek at the full gallery for even more of the details photographed by Angie Diaz Photography! 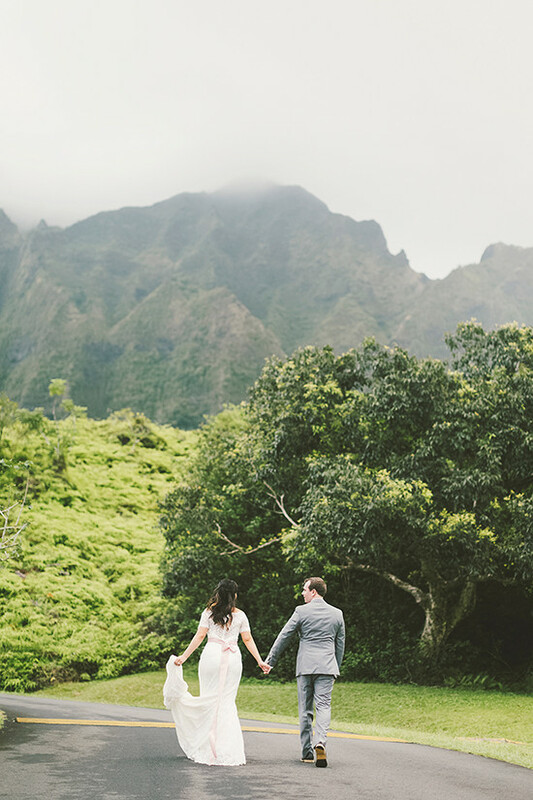 From Angie Diaz Photography: This beautiful couple really embodied the Hawaiian spirit for their wedding day. 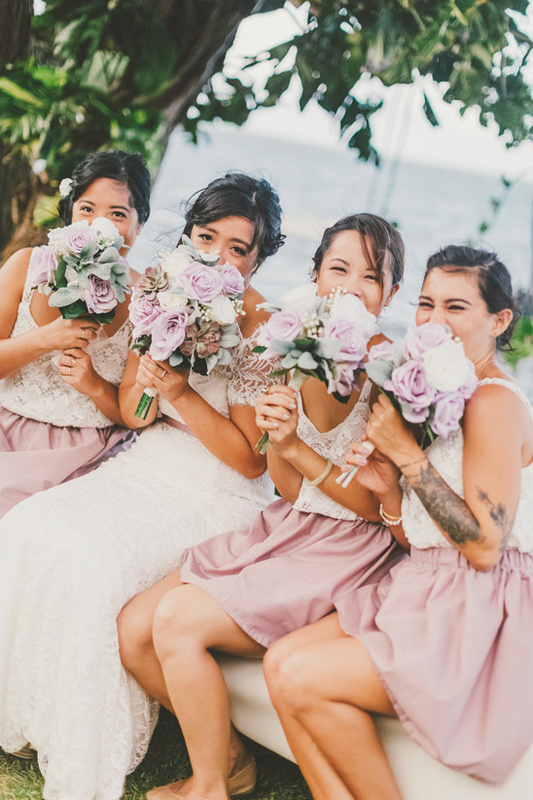 The intimate wedding was filled with love and laughter! All of the guests shared the aloha spirit with the couple and the whole event was a joyous experience to be involved in. 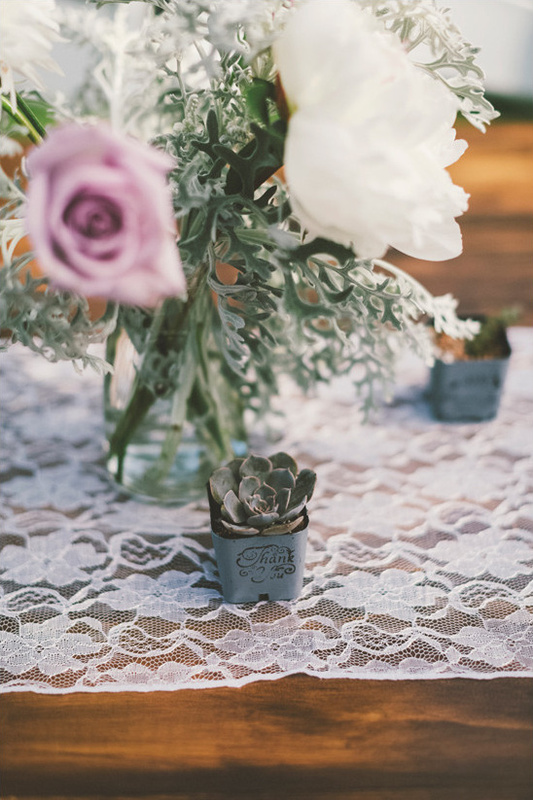 I loved all of the detailed shabby chic decor of this wedding. And the succulents, boy, I can never get enough of succulents! 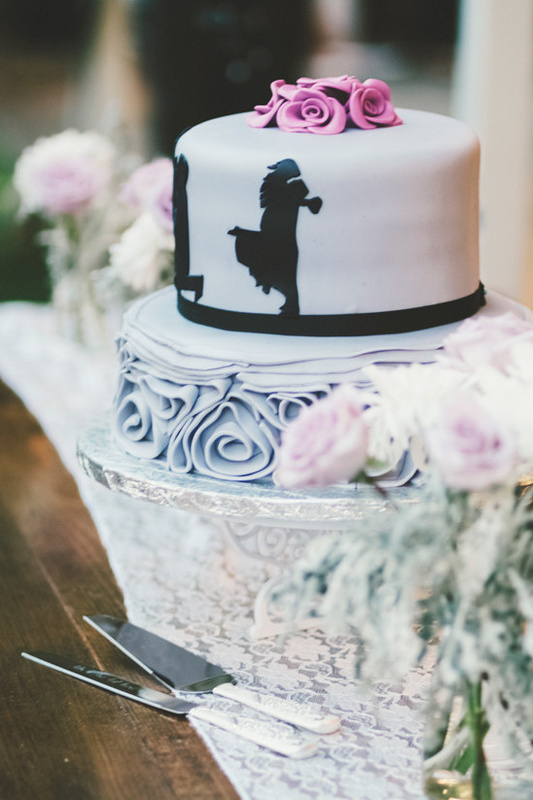 The couple and their families came together to create all of the whimsical DIY decorations which turned out flawlessly. I wish I took into consideration the wind when deciding on if I should wear a veil or not. During the ceremony, it flew around, creating weird pictures and flying into my face while we said our vows. I would've reconsidered one that is more weighed down with beads or lace. 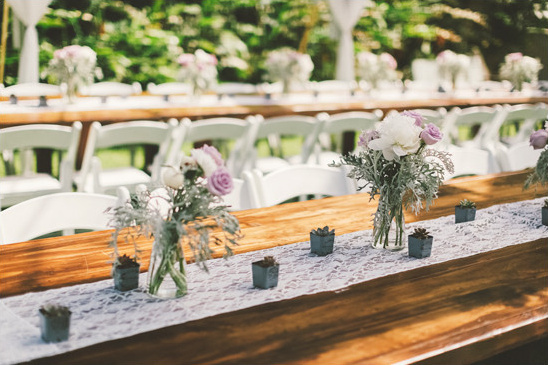 For outdoor weddings with a chance of rain, have towels on hand for guests to wipe down anything that may get wet like chairs and benches.Get a closer look at this purple and lace Hawaiian wedding by watching the wedding video from Seeking Films below.